So who else is counting down the days until summer vacation??? We’ve hit that point in May where this mama’s head is about to explode. In addition to the usual chaos that accompanies the last few weeks of school, I’m trying to squeeze in all of my last-minute appointments before I have three kiddos home for the summer (helloooo, hair salon that I haven’t seen in six months)…and both of my boys are in the midst of their end-of-season baseball tournaments (and they keep winning their games — which is fabulous — but helloooo, baseballeveryfreakingnight). Fortunately, I got to take a little break yesterday as my hubby and kids did their best to spoil me for Mother’s Day. I woke up to hugs and kisses, pastries from my favorite French bakery, roses, handmade kid gifts, and more. We enjoyed a fancy lunch at a fancy restaurant — which was a first for the kids and as relaxing and stress-free for the parents as you might imagine 😉 — followed by a family kickball game at home. So grateful for this sweet family and crazy life. But what does all of that have to do with today’s recipe? 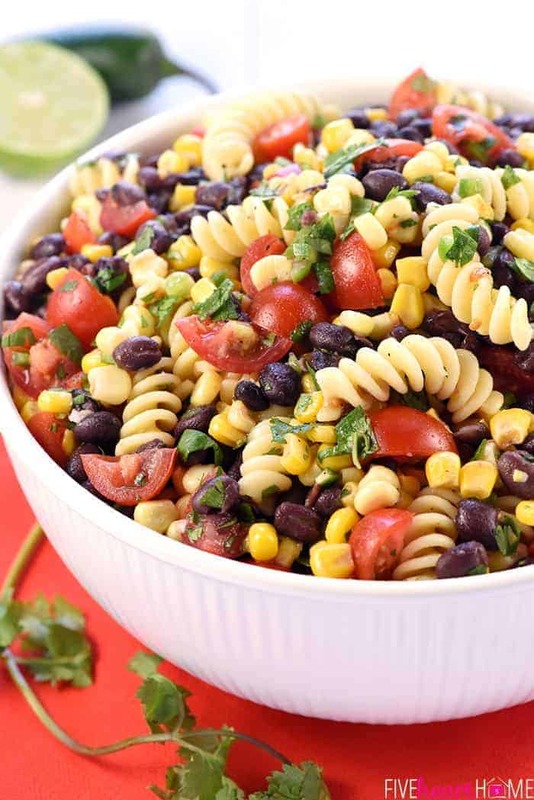 Well, not much, except for the fact that I brought this Fiesta Pasta Salad to a family gathering on Saturday when we celebrated Mother’s Day with my mother-in-law…between baseball games, of course. 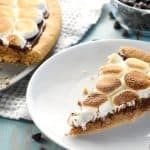 Since we were keeping lunch simple and kid-friendly with sandwiches and ice cream cake, I decided to contribute a dish that was fresh and summery and could be enjoyed by kids and adults alike. 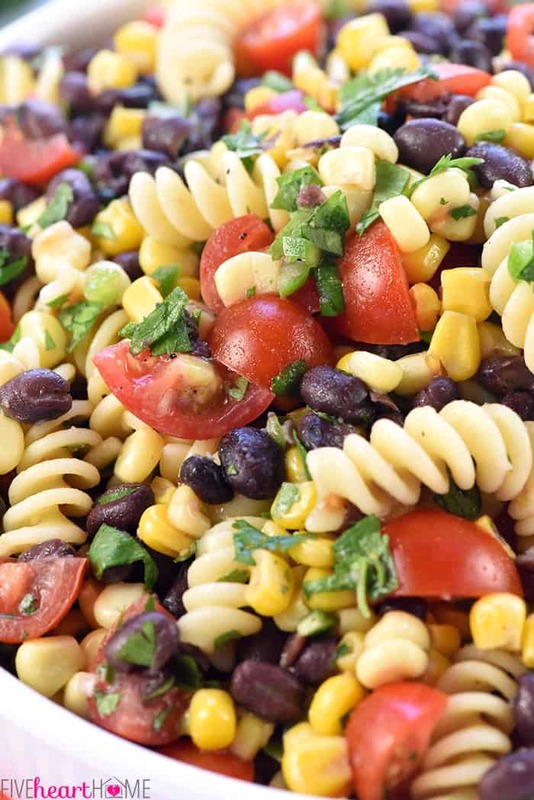 I’m happy to say that Fiesta Pasta Salad was just the thing to round out our meal. My father-in-law commented more than once that he hoped I had written down the recipe. 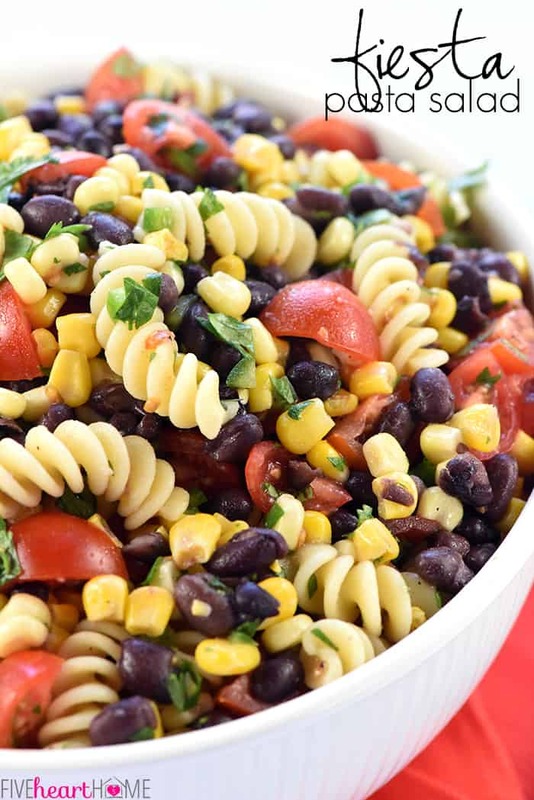 And I told him that I practically had the recipe memorized, since this pasta salad is simply a spin on the Corn, Black Bean, & Tomato Salad that I’ve been making for years! I just tweaked the dressing ratio and added corkscrew pasta. 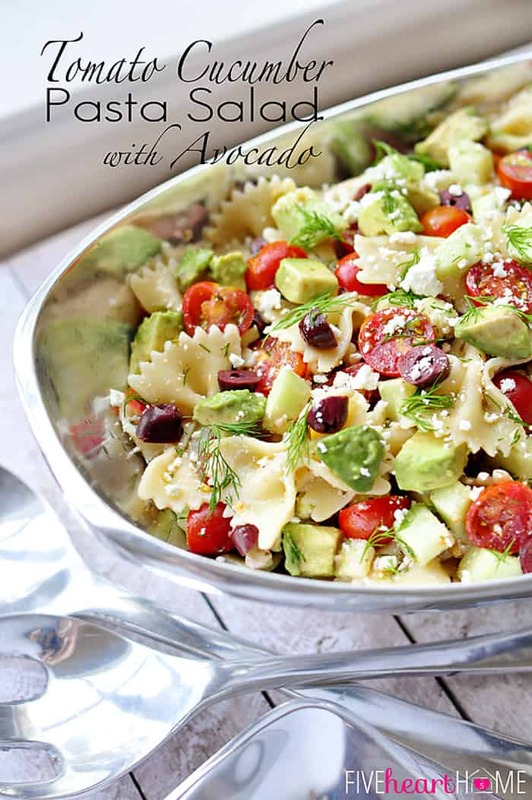 And the result was so yummy that I’m not sure why I never thought to turn that recipe into a pasta salad before. 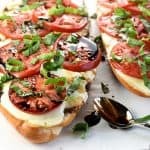 This recipe is super easy to throw together for all of your summer potlucks, picnics, parties, BBQs, and get-togethers. 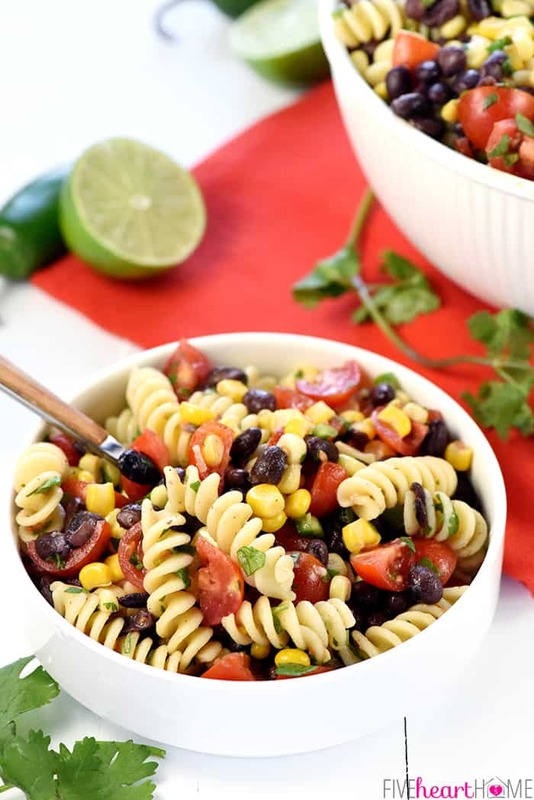 It’s as straightforward as boiling pasta, thawing frozen sweet corn, rinsing and draining canned black beans, chopping tomatoes and cilantro, and shaking together a fresh lime juice vinaigrette. 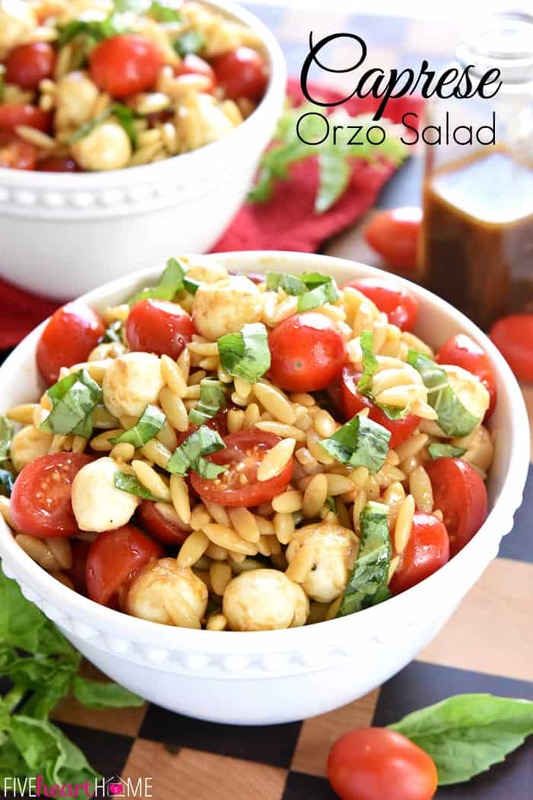 In fact, it will amaze you that such a simple recipe can turn out so delicious! 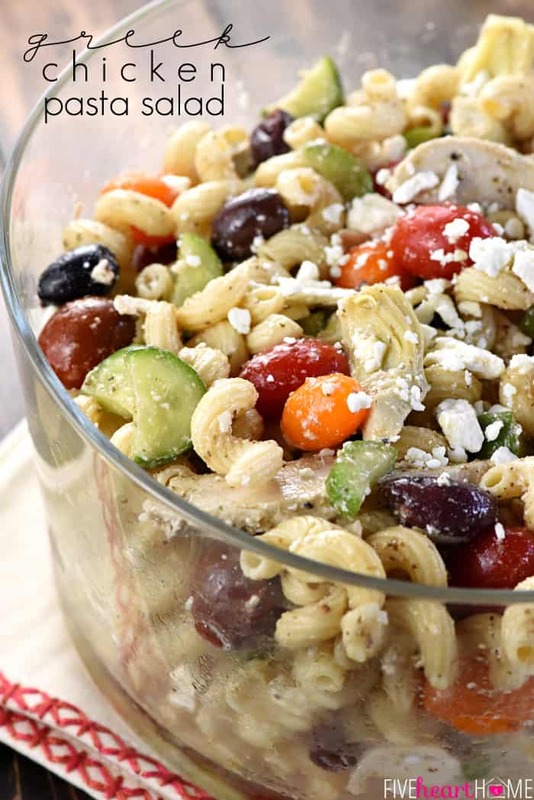 Any time I make pasta salad, I like to dress it with about two-thirds of the dressing, mix everything together, and refrigerate for awhile to allow all of the flavors to meld. Then just before serving, I stir in the remaining dressing, since so much of the original dressing gets absorbed into the pasta while chilling. 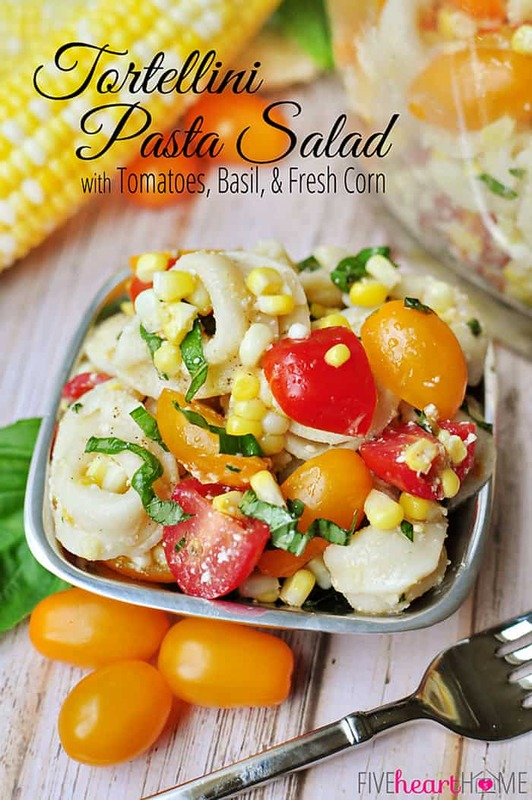 The result is a pasta salad that boasts flavor through and through! 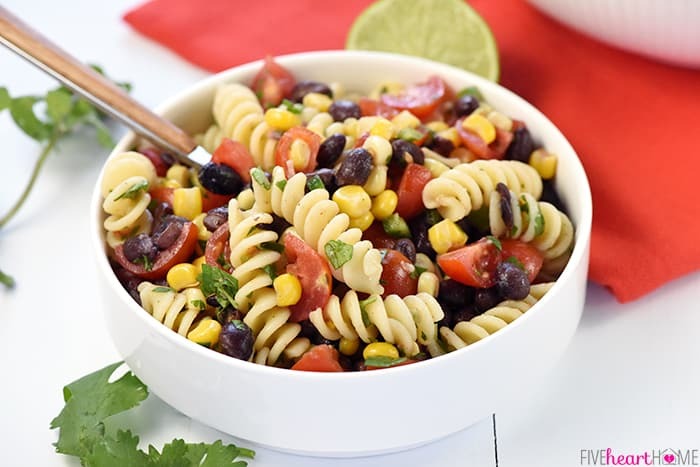 Make the dressing by whisking all of the ingredients together in a medium bowl until thoroughly incorporated, or shaking them in a jar with a tight-fitting lid. Set aside. 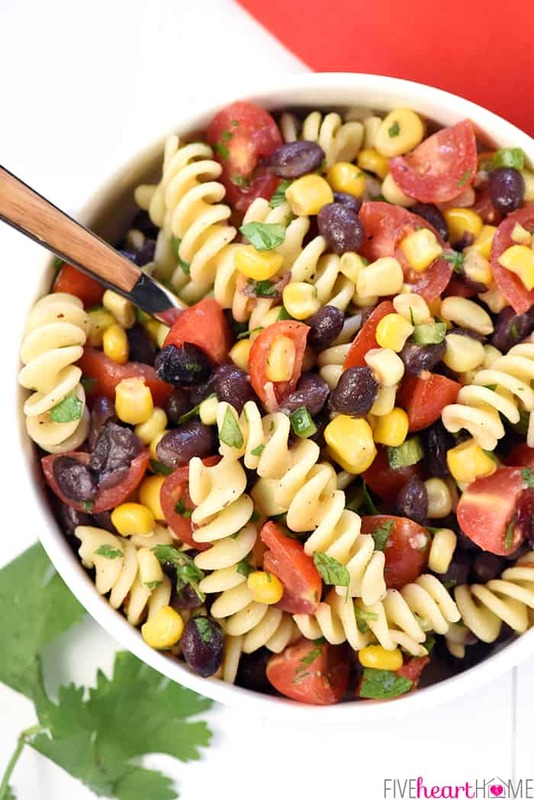 Place the cooked pasta and the rinsed black beans in a very large bowl. Thaw the corn by placing it in a colander and running it under warm water; drain well and add to bowl. Add the tomatoes, jalapeños, and cilantro to the bowl, and pour about two-thirds of the dressing over top. 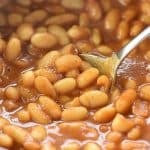 Gently mix all of the ingredients with a large spoon until well combined. 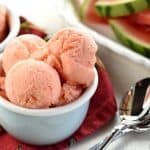 Refrigerate for several hours to allow the flavors to blend. Just before serving, stir in the remainder of the dressing and garnish with additional cilantro, if desired.